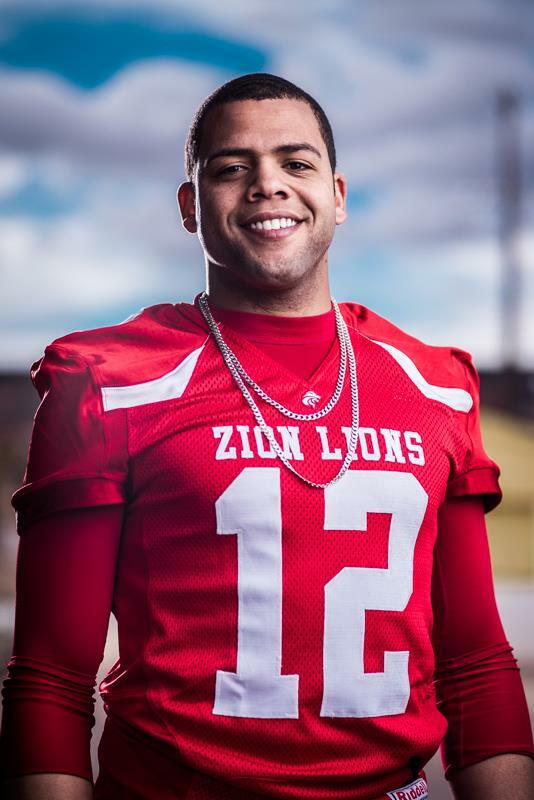 BRIGHAM CITY – The Zion Lions won their final regular season game to finish undefeated and clinch the No. 1-seed and home-field advantage for the playoffs by beating the Brigham Sting 34-20. After kicking off the ball to start the game, it was the heralded Lion defense that began the scoring. Free safety Ryne Wall stepped in front of quarterback Brad Thurber’s pass and ran the ball back for a touchdown. After a Sting punt on the next possession, the Lion offense drove the ball 80 yards in just two plays. Both plays were passes from Misi Tupe to Dalton Groskreutz. The touchdown reception was for 70 yards. It did not take long for the Lions to get on the board again, this time with the special teams. The Sting punted to Lei Angilau. Angilau lateraled the ball to Matt Feula who in turn lateraled the ball to Dom Vargas. Vargas raced to the end zone for six. Groskreutz scored his second touchdown shortly before the end of the first to give the Lions a four-touchdown advantage. The Sting finally got on the board just before halftime when Thurber hit Koby Spencer out of the backfield for a 37-yard touchdown pass. At halftime the score was 27-7. Coming out of the locker room, the Lions coughed the ball up twice. The Sting took advantage. First a five-yard run by Christian Kasyan. The second was a one-yard plunge by Christian Thomas. A missed PAT on the last touchdown still had the Sting within one score, 27-20. The Lions again drove the ball the length of the field. Tupe found wide receiver Tanner Wood on a bubble screen for the final touchdown of the game. 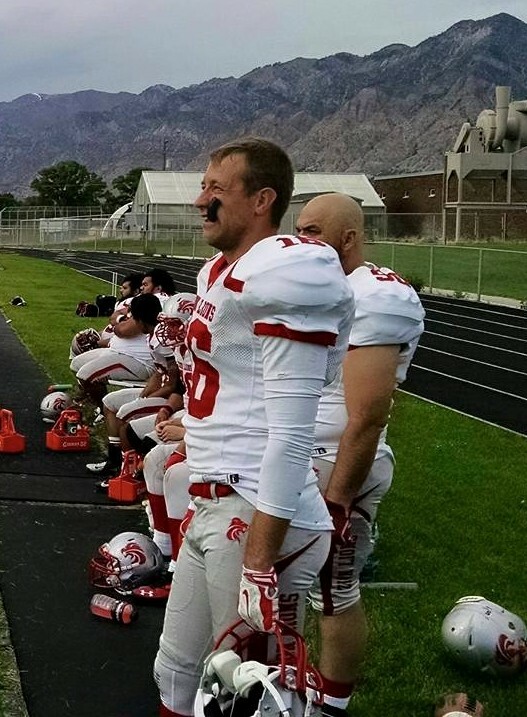 The Lions, 9-0 overall and 8-0 in the RMFL, have a bye next in the final week of the regular season and will have to wait to see who they play in the first round of the playoffs. “We are fairly certain we will see this team in the first round,” said Stott. The Sting drops to 5-2 and play the Wasatch Revolution in their final game of the season next week.